Create a chic and luxurious space with this mercury glass table lamp. Adorned with a silver champagne finish that pairs beautifully with a bright white lamp shade. Overall: 32 3/4" high. Base is 6 1/4" wide. Shade is 14" across the top x 15" across the bottom x 10" on the slant. Uses one maximum 150 watt standard base bulb (not included). On/off socket switch. Mercury glass table lamp.From the Regency Hill brand. White lamp shade with decorative finial. They will look great with my furnishings. It looks like it will complement our decor and it was a taller table lamp. They will match my hand painted accent tables. This is a beautiful and sleek design that will go perfectly with my new bedroom set. The size is appropriate and I like the style of the lamps as well as the tone and the white shades. Its perfect for what I want it for. Does this lamp come in a smaller size? BEST ANSWER: Hi - I am sorry, this collection does not offer a smaller option. 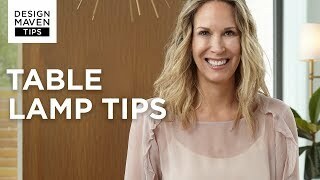 What are the dimensions of the lamp shade?What does the lamp weigh? BEST ANSWER: Hi, the lampshade measures 14" across the top x 15" across the bottom x 10" on the slant. The table lamp weighs 6.5 lbs. Love everything about this lamp except the white shade. Would it be possible to change the color to Ivory? BEST ANSWER: I have included a shade that will fit this lamp. I bought and love this lamp...so feminine and elegant. I love the white, however I believe an ivory shade would go with the lamp because of the gold color in the lamp base. The white shade enhances the silver color. Whatever you choose...its truly beautiful. What is the return policy? I have found more than one lamp and unsure which will work best. Thank you David for the fast reply. The curves and design of the 2 lamps we ordered look amazing in our redecorated guest room. The mercury glass picks up the shine and reflective properties in the mirrored framed art on the wall. Stunning lamps. Service at this store is always outstanding. Love the lamp. It is perfect with my new furniture and the room. When I ordered it I submitted a coupon but was informed this lamp is not covered. 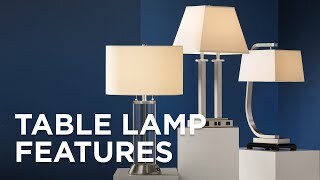 I just found the same lamp at my local store on sale for about $40 less than I paid for it. Not happy about that. 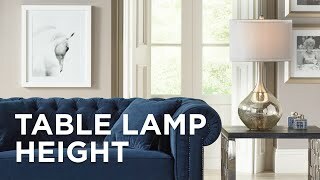 I am pleased with my purchase and I would recommend the company in fact this is my second purchase everyone that have seen my lamps want to know where I made the purchases and I let them know I also let them see catalog. I am very please . I would of given it 5 stars but the lamp shade is still not quite straight possibly the metal is slightly bent but it is a very pretty lamp. Very nice workmanship and priced fairly. This lamp works well in family room or bedroom. Large finial is beautiful the way it sits high on top. This lamp is very nice, however was very disappointed because it was clearly a returned item from another customer. The item was repacked and the lamps wire was loose in the package. 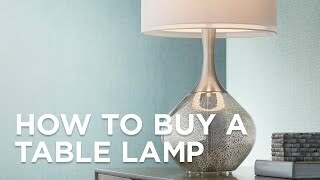 Also the lamp where you turn it on is damaged. I only kept it because it is such a hassle to take the large box to the post office since I am partially disabled. Don't think I will order from them again since I received a repacked return when I ordered and paid for a new item. Nor a good business practice in my eyes, sorry.